Acoxia is a nonsteroidal anti-inflammatory drug, which has an analgesic and antipyretic effect, effectively blocking the formation of prostaglandins. For more information about Acoxia, read the instruction for use in this article. 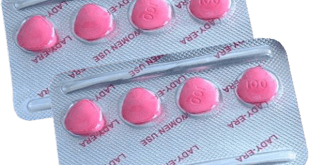 Acoxia is produced in the form of pills, covered by the film membrane. Depending on the form of production, the pills can contain 120, 90 or 60 mg of an active substance. 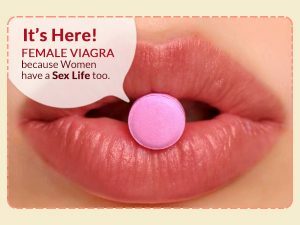 The active ingredient of this drug is etoricoxib. The support substances are: microcrystalline cellulose, magnesium stearate, croscarmellose sodium and calcium hydrogen phosphate. According to the instruction for use, Acoxia is used for the treatment of rheumatoid arthritis, osteoarthritis and ankylosing spondylitis. Besides, this medical product relieves pain and inflammatory symptoms of acute gouty arthritis. You should read the dosing regime and the duration of treatment. This drug is prescribed only by the doctor depending on the existing disease and patient’s condition. 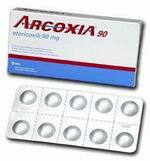 In general case of osteoarthritis the doctors recommend taking 60 mg of Acoxia no more than once a day. The treatment of such diseases as ankylosing spondylitis and rheumatoid arthritis involves taking 90 mg of the drug a day. In case of gouty arthritis in the acute period of disease the patient must take 120 ml of the drug once a day. It should be noted that one can take 120 ml of Acoxia a day no more than 8 days. In the painful syndrome, daily therapeutic dose must not exceed 60 mg. The patients with renal failure must no more than 60 mg of a drug. It must also be noted that Acoxia must be taken irrespective of the mealtime. Speaking of the contraindications of Acoxia, the instructions for use declares that the drug must not be used by the patients with severe heart or renal failure, inflammatory intestinal diseases, erosive-ulcerative lesions of mucous membrane, high blood pressure, and also after a coronary bypass. 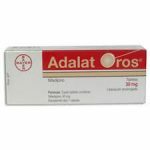 Besides, the described drug is not prescribed to the people under the age of 16, persons intolerant to etoricoxib (active ingredient of the drug), and in the period of breastfeeding (lactation) and during the whole pregnancy. You shouldn’t take the drug without the doctor’s prescription, as it has a lot of side effects. First of all, the use of Acoxia can cause epigastric pain, diarrhea, flatulence, sickness, vomiting and dyspepsia. Possible side effects from the side of nervous system include: dizziness, headache, drowsiness, taste or sleep disorder, depression, anxiety, confusion and hallucinations. The use of considered drug can cause blurred vision, tinnitus, vertigo and conjunctivitis. Possible allergic reactions of this drug include urticaria, swelling, and in exceptional cases- anaphylactic shock. The use of Acoxia can have a negative effect on the heart, causing increased blood pressure, brain circulation dysfunction, blood flows, changes in EKG and even myocardial infarction.